Hoofprints Walk of Fame was unveiled at Saratoga Race Course in Saratoga Springs, NY on Friday, July 12, 2013. 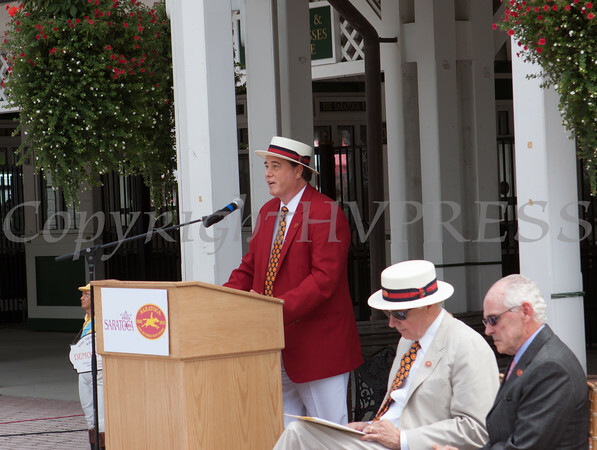 Saratoga 150 Committee Honorary Chair John Hendrickson offers remarks as the Hoofprints Walk of Fame is unveiled at Saratoga Race Course in Saratoga Springs, NY on Friday, July 12, 2013. Hudson Valley Press/CHUCK STEWART, JR.